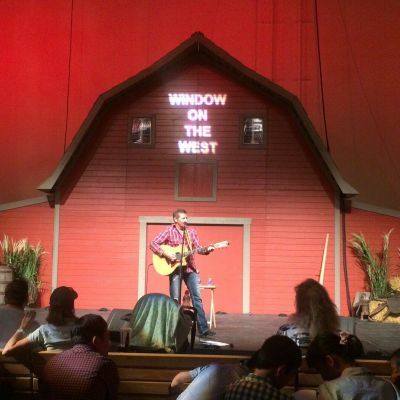 The Window on the West Stage is a unique performance venue located on the Calgary Stampede grounds. The goal of this volunteer-run stage is to provide a window to western heritage by show casing diverse musicians and performers on our stage. While we do not have the ability to offer monetary compensation, we do offer the opportunity to sell merchandise during your show, gate passes for you group plus one set of extras to offer to friends or come back to the park another day and complementary parking nearby. In addition, performers’ pictures and biographical information will be used in Calgary Stampede promotional materials including print media, radio, website, as well as social media such as YouTube, Twitter and Facebook. It is part of the Western Oasis in the BMO centre at the Calgary Stampede. There are long pews for seating and extra chairs if needed. Whatever A/V equipment you need, we provide, as well as a sound technician.